OK-yesterday was draining my strength mentally over a stupid electrical system, so- with that i am going to blog about news of the day that I look at and thought I would share it with you, as my mind has not completly cleared from yesterdays wiring nightmare. 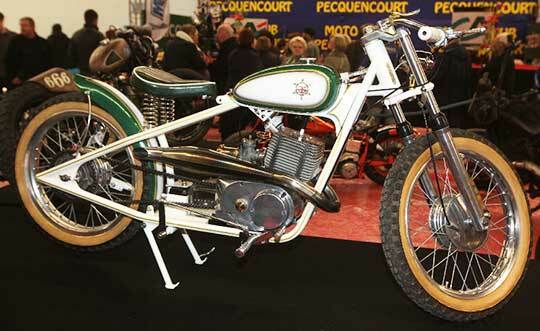 Postcards From Custom Bike Show Of Pecqencourt In France. 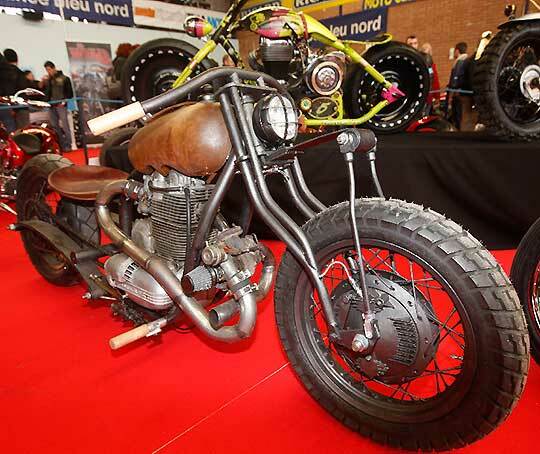 Published by Cyril Huze March 15th, 2013 in Builders, Customs, Editorial and Events. Published by Cyril Huze March 18th, 2013 in Builders, Customs and Editorial. 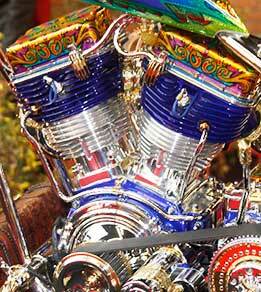 The New Indian Thunder Stroke 111 Motor. The Video. 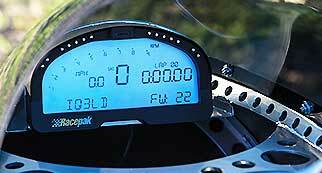 Published by Cyril Huze March 17th, 2013 in Builders, Editorial, Engines and Events. 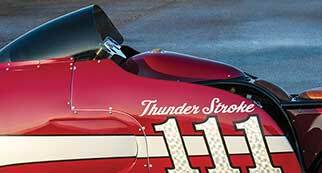 Introduced March 9th in Daytona Beach, the new Indian Thunder Stroke 111™ motor is using Indian Motorcycle past achievements as inspiration. Company’s objective? A lofty goal: to build the best power plant on the road today. 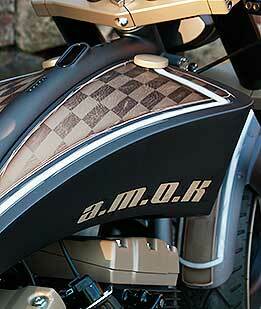 The Thunder Stroke 111™ is true to its heritage and looks, as well as power. 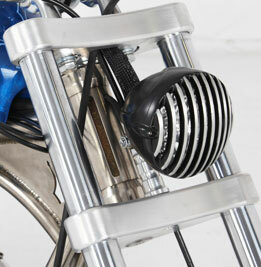 Producing over 115 foot pounds of torque, it delivers smooth, reliable and abundant power. Published by Cyril Huze March 17th, 2013 in Builders and Events. Ducati Motorcycle Dealers To Get Access To Audi financing. Less than 1 year after the Audi Group purchased Ducati,dUS Ducati Dealers will have access to Audi Financing. 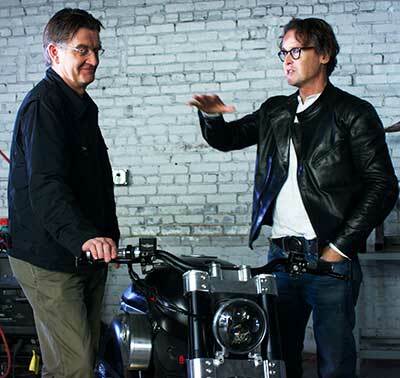 The announcement was ade by Ducati CEO Gabriele Del Torchio, Del Torchio said. “And I think this will be a tremendous improvement of our ability to further our presence in the North American market. For the time being, we’ve already established relations here in Europe. The program is going very well in Italy, and quite soon we will add France and Germany. But in America I think we will be ready for next year.” In 2012, Ducati delivered 44,102 motorcycles, breaking records in terms of deliveries, production and profits. Published by Cyril Huze March 16th, 2013 in Chassis, Editorial and Electrical. More you rake your bike and more your headlight will light up the sky, which is of course not its purpose…With a traditional headlight , it’s an easy fix. With a Nacelle, the only way to fix this issue is to use an extended Nacelle. 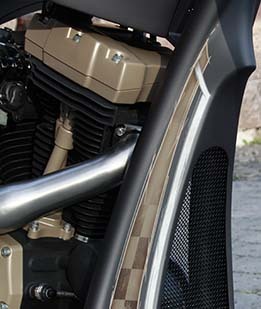 Especially if you go for the setup 40-degree Rake/Big Wheel that some are adopting on their Road King. 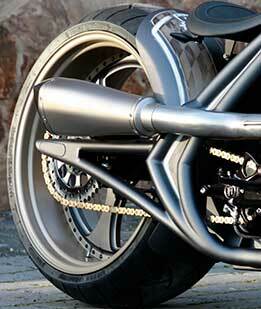 This one is stretched a total of 3″ and is a direct bolt-on. 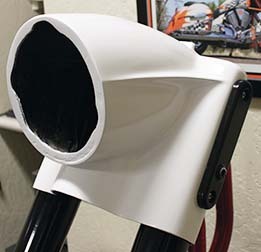 Sold in primer, ready for paint preparation. Sold at Kewl Metal Store. Trademarks Battle. 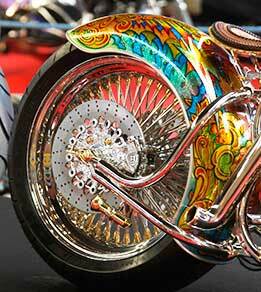 Judge Says Jury Can Define Sturgis Trademarks. 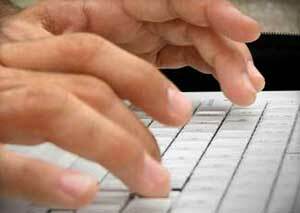 Published by Cyril Huze March 16th, 2013 in Editorial, Events and Legal. Reacting to the feature I wrote on March 8th under the headline “Is Sturgis Motorcycle Rally Inc About To Lose All Its Sturgis Trademarks In 30 Days?” SMRI sent me a press release that I didn’t intend to run because empty of substance regarding what is the current recommendation of a Judge regarding the validity of the Sturgis trademarks. Instead, I reproduce below an excellent analysis of this trademarks battle written by Andrea Cook from the Milwaukee Journal. “The Sturgis trademark case is a step closer to resolution after a federal judge recommended rejecting motions for dismissal and defined what he sees as the essential issue in the dispute. 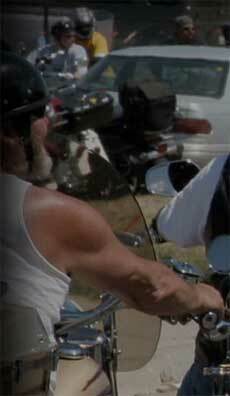 After six months of study, United States District Magistrate Judge John Simko of Sioux Falls filed his report and recommendation last week in the dispute between Sturgis Motorcycle Rally Incorporated, or SMRi, and Rushmore Photo & Gifts, a Rapid City wholesaler. U.S. Chief District Judge Jeffrey Viken referred the case to him after both parties filed motions for a summary judgment that could have led to a dismissal of the case. Wal-Mart Stores, Inc., has joined Rushmore Photo & Gifts in challenging the validity of the Sturgis trademark after it was named as a defendant by SMRi. Simko recommended that Viken deny all of SMRi’s motions for summary judgment to block the defendants’ challenge and a request for a delay in the case. Viken should also deny Rushmore Photo & Gifts’ request for a finding in its favor and that a jury needs to decide the case, Simko wrote. The Sioux Falls judge also stated his position on how to determine if the trademark can be legally enforced. 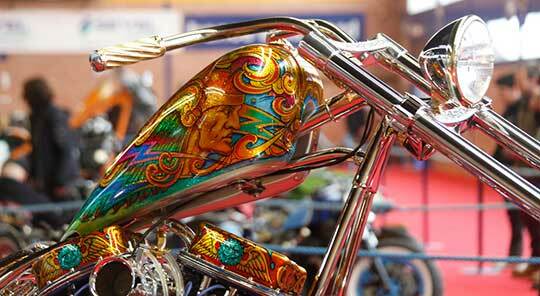 ”If Sturgis means the source of products, then Sturgis is registrable because it identifies the source of products. If Sturgis means the event itself, then, Sturgis is not registrable because it does not identify the source of a product,” Simko said in the document filed March 6 in U.S. District Court. Published by Cyril Huze March 15th, 2013 in Customs, Editorial and Engines. 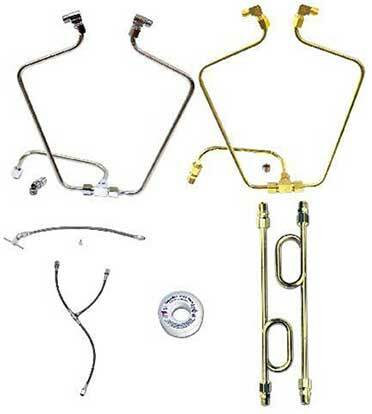 Early OEM external oil lines are easily and quickly upgraded with these OLD-STF brass and stainless replacements from Paughco. (P/N STFB66.) 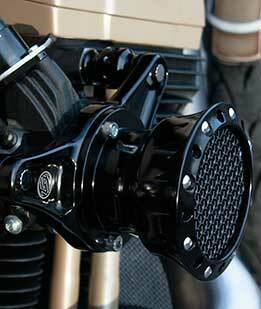 Custom shaped from solid brass tubing to replace lines on 1966-1984 Shovelheads and retailin for $65.95. 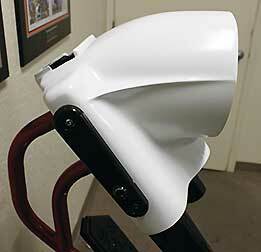 The same line application in Stainless Steel (P/N STFS66) retails for $99.95. 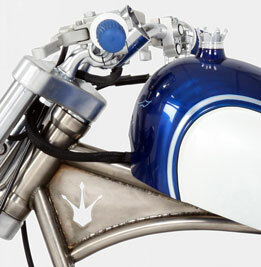 Ironhead Sportsters from 1957-1985 are covered with their own unique replacement Brass lines (P/N STFB57) retailing for $49.95. Brass and stainless OLD STF line kits included sealing tape. 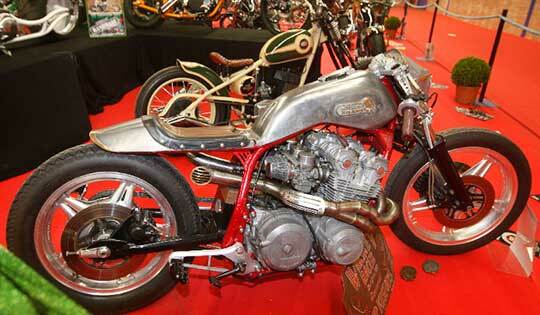 Published by Cyril Huze March 14th, 2013 in Builders, Customs, Editorial and Events. Published by Cyril Huze March 14th, 2013 in Builders, Editorial and Events. The defending national champion Harley-Davidson® Screamin’ Eagle®/Vance & Hines Pro Stock Motorcycle drag racing team will open a season celebrating the Harley-Davidson 110th Anniversary at the 44th annual Amalie Oil NHRA Gatornationals at Auto-Plus Raceway at Gainesville, Fla., March 14-17. 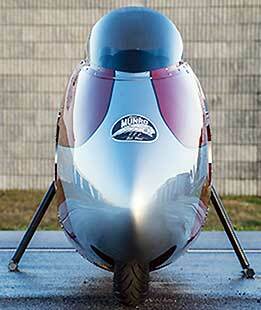 The event is the first for Pro Stock Motorcycles on the 2013 NHRA Mello Yello Drag Racing Series schedule. Both of the team’s Harley-Davidson® V-Rod® motorcycles will wear special livery inspired by the Limited Edition 110th Anniversary Harley-Davidson motorcycles through the end of the anniversary in September. The #1 V-Rod of defending Pro Stock Motorcycle champion Ed Krawiec will have the Vintage Bronze and Vintage Black anniversary paint scheme and medallions available on many standard production Harley-Davidson models. 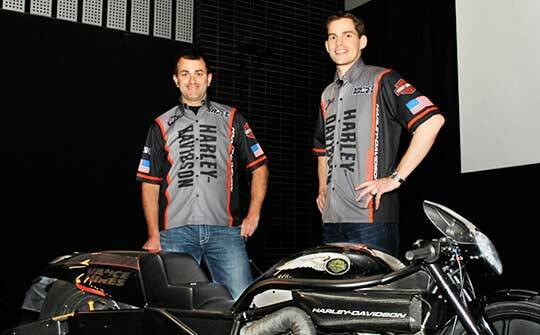 Andrew Hines will race the #2 V-Rod in the Diamond Dust and Obsidian anniversary colors offered on 2013 Harley-Davidson Custom Vehicle Operations models. 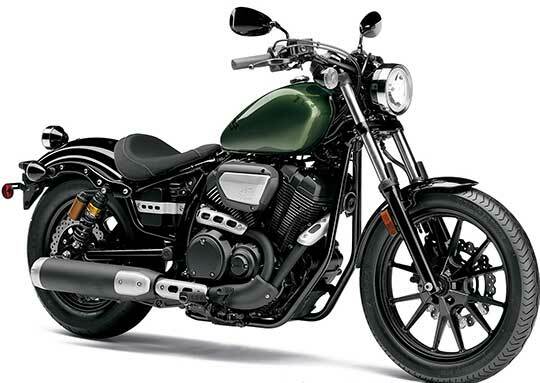 Star Motorcycles Is Launching The Bolt And Bolt R-Specs. 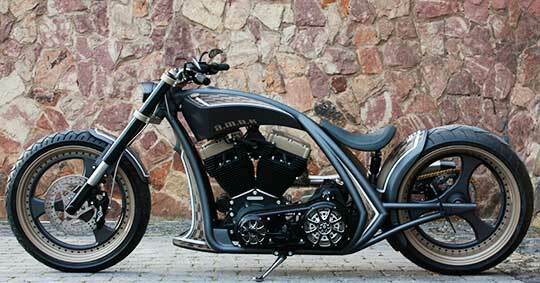 Old School Bobber-Inspired And Affordable. 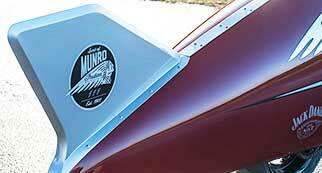 Published by Cyril Huze March 13th, 2013 in Builders, Editorial and Events. 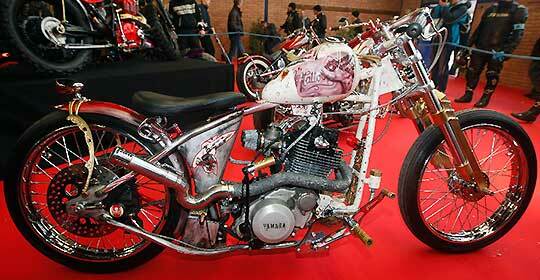 Published by Cyril Huze March 12th, 2013 in Builders, Customs, Editorial and Events. On Saturday evening March 8 2013, immediately following the unveiling of the all-new 111-Cubic Inch V-Twin power plant that will equip the 2014 line up, Indian Motorcycle had a big surprise announcement for the crowd gathered at Dirty Harry’s on Daytona Main Street. 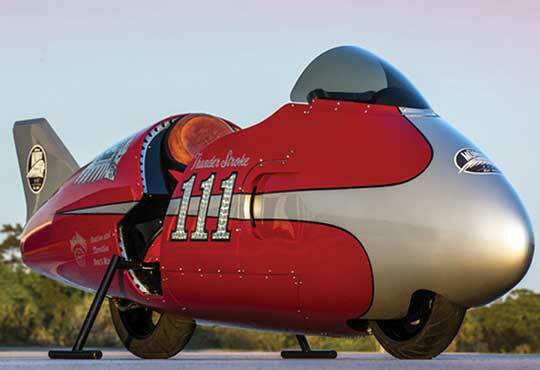 A one-of-a-Kind vehicle powered by the new Thunder Stroke 111 Engine paying tribute to Burt Munro’s ‘Munro Special’ as portrayed in the ‘World’s Fastest Indian’ motion picture. Published by Cyril Huze March 11th, 2013 in Builders, Customs and Editorial. In more than 20 years that I have known Fred Kodlin, I never saw him running amok, mad with uncontrollable rage. But living and working on 2 different continents I don’t see him every day. 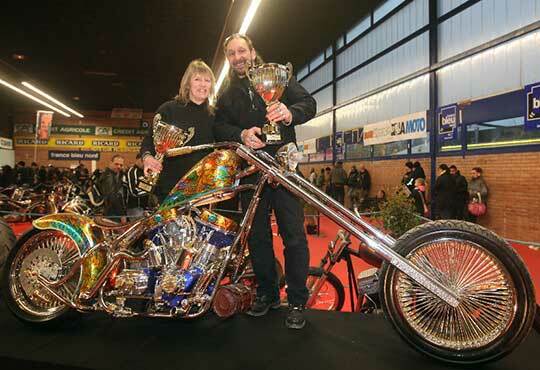 Will have to check on him again when I travel at the end of March to his native Germany to cover The Custom Chrome Europe Show… Seriously, Fred is running Amok, his new creation built in a style that is so much the Kodlin style, this time with an added racing touch. First, don’t be confused. 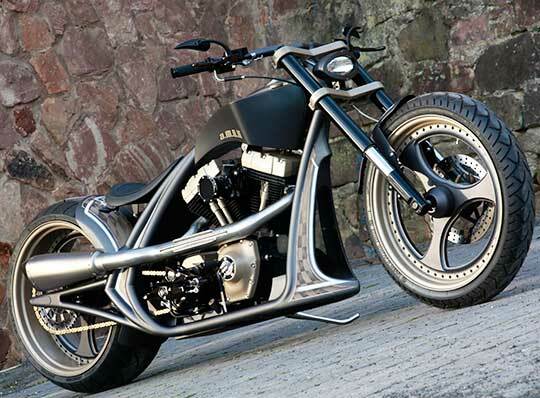 No, it’s not a Softail type frame. 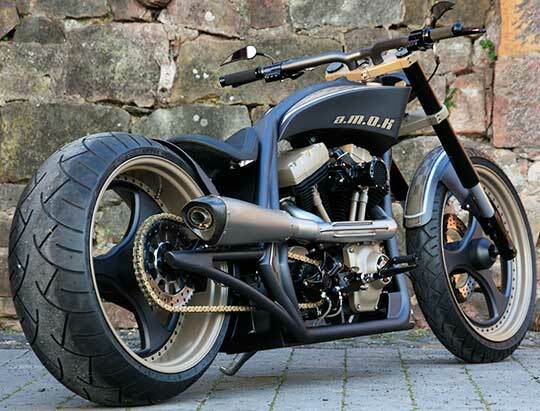 Look attentively and you will realize that although Amok is powered by a modern Harley-Davidson Twin Cam A engine (103″, 94 HP) what you could take for a swing arm is just a strong part belonging to the custom rigid frame. 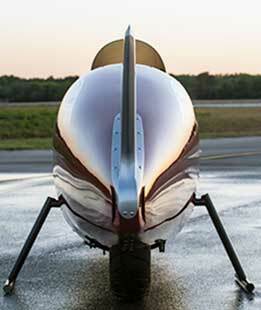 Ride is given some smoothness via an air shock under the solo seat. 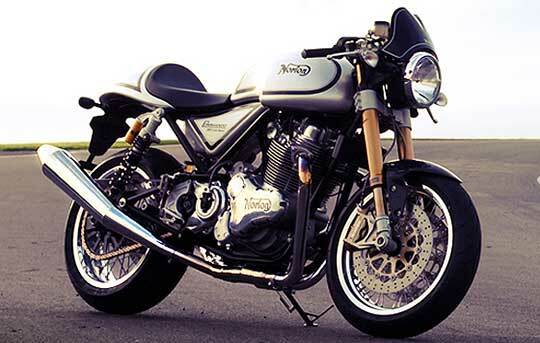 A chassis with an aggressive stance due to the backbone sharp drop from the rear of the gas tank to the fake swing arm and to the use of a pair of ultra minimalistic fenders whose purpose is of course only aesthetic. 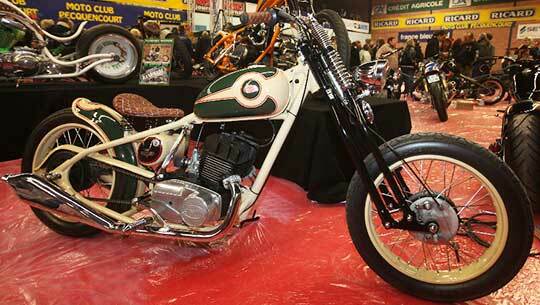 This entry was posted in Blog and tagged art, cb750, chopper, vintage motorcycle.